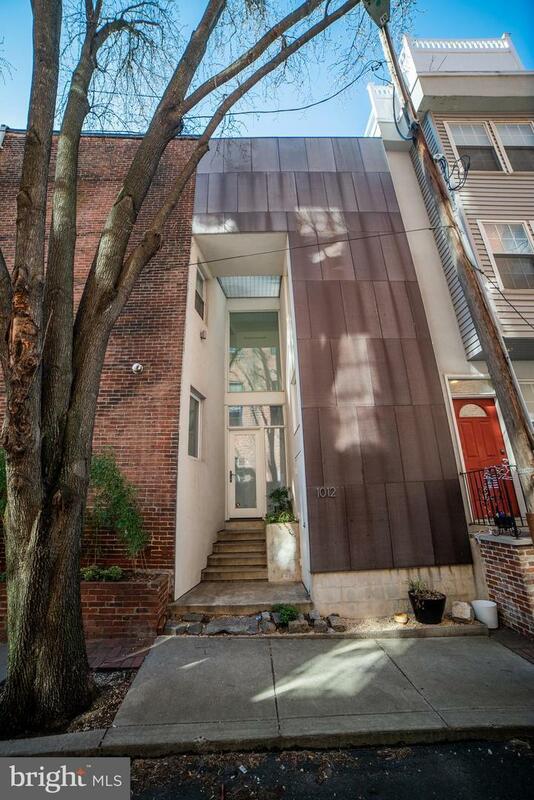 This refreshing, tastefully renovated modern home in Northern Liberties was designed by award-winning architecture group Qb3. Enter a light-filled double height side entryway with a planting bed of bamboo. 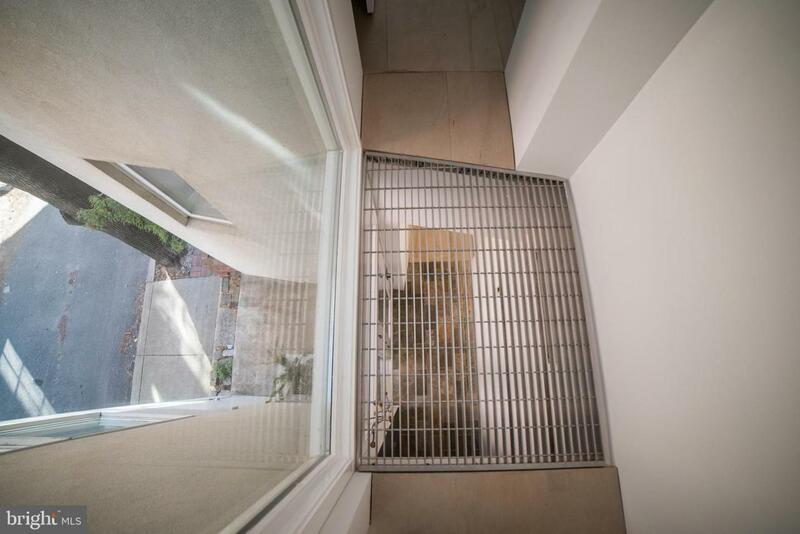 Once inside, a real slate floor welcomes you underfoot, and a double-height entry area with aluminum grate bridge above beckons. The first floor has an open layout kitchen with eat-in area and adjoining living space with double-height light well which steals daylight from the second floor. Recessed lighting throughout with WiFi-enabled smart LED bulbs, and designer fixtures by Artemide, Ingo Maurer, and Poul Henningsen. Ample closet space on this floor as well. Floors of bespoke white-washed birch throughout brighten the space while providing visual warmth. 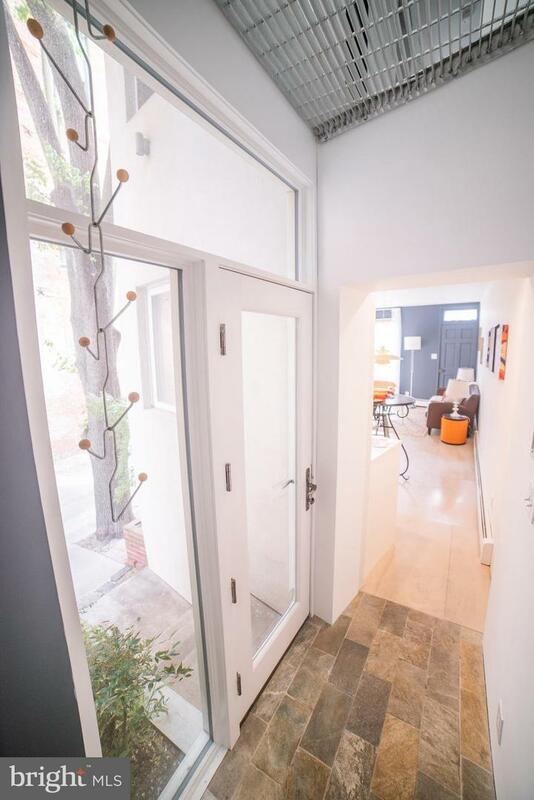 The second floor is home to a den or potential second bedroom, and boasts a fully-tiled bathroom with shower and pocket doors. The third floor master suite offers beautiful light through the roof skylight and doors to the private deck. With good storage space and laundry hookups on this level, this space has all you need for your sanctuary in the city. A bright, dry basement with high ceilings offers plenty of storage space, or could provide more living space. Location-wise, it doesn't get much better than this. Convenient walking distance to the El and public transportation, as well as just a few minutes' drive to area highways. 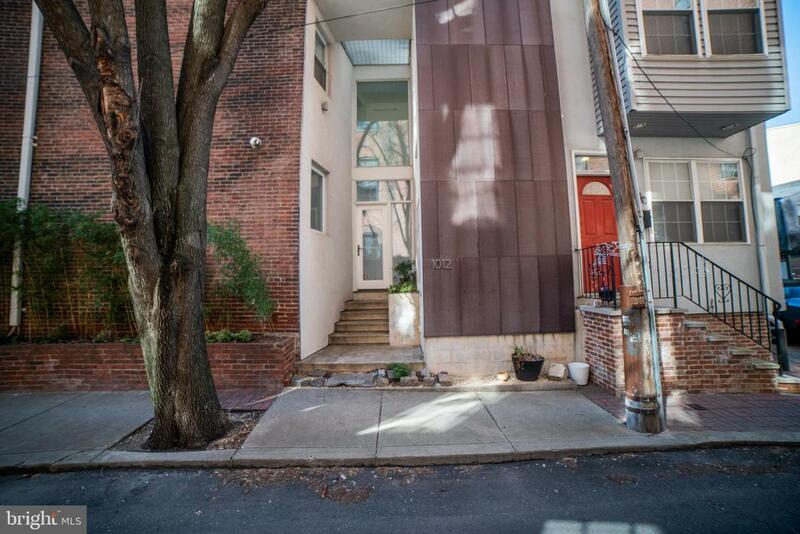 And of course, walking distance to all the local Northern Liberties and Fishtown attractions like the Fillmore, Jerry's Bar, Standard Tap, Johnny Brenda's, La Colombe.